Welcome Brides!We are so pleased you found us and we hope we get to opportunity to make your wedding cake as unique as you and unforgettable in style and flavor for your guests. The wedding cake is the center of the reception ( aside from you of course!) and is the perfect way the reflect the style and taste of your wedding.The Sugarplum Cake Shoppe has been in business for over 4 years; and our master decorators have a lifetime of experience to make your cake everything you imagined. We specialized in custom wedding cakes designed to fit your unique vision and budget. Wedding cake prices start at $5 per serving (Buttercream) and $6.00 per serving (Fondant) and go up depending on design and materials used. The best way to get an idea of how much your cake will cost is to set up a complimentary cake tasting and consultation. 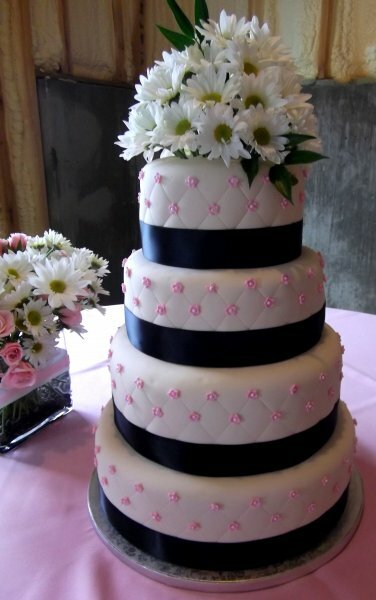 Try our delicious cake flavors and fillings, while getting a custom design and quote for your cake.